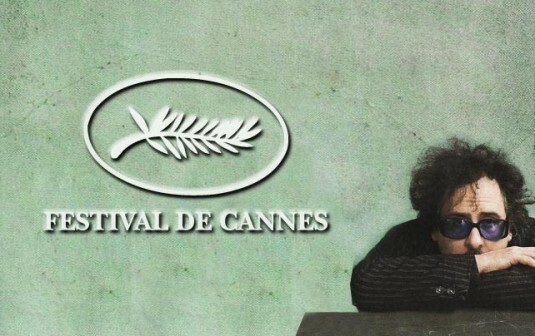 So as the festival's days wane, we continue to live in uncertainty about both the fate of the incarcerated Iranian director Jafar Panahi (alas, his hunger strike continues) and the fate of the main competition. Most of those in attendance agree it's been an especially weak year. While Tuesday there were stirrings of life, often characterized by days of vigorous discourse, we're still talking about those same films -- the Mike Leigh, the IÃ±Ã¡rritu, the movie about the monks -- and it's almost Saturday. One of the most entertaining topics of conversation for the entire festival has been what on earth will win. There's only one film left to debut: Nikita Mikhalkov's sequel to "Burnt by the Sun," the runner-up here and the foreign-language Oscar-winner of 1994. It's called "Burnt by the Sun 2," and no one seems excited to see it, but who knows. It says a lot about how remote Burton has become as an artist that, despite his films being fixtures in our cultural consciousness, we can't get a read on what kind of person he is. Aside from his themes of banishment and inclusion, we don't know his cinematic politics. Amid all the computer-generated frippery that now encrusts his films, it's difficult connecting his filmmaking to the world. So it's fascinating to watch him here slip into screenings as both an exalted moviegoer and an arbiter of taste. His only reference point as a director appears to be himself. And those references often produce emotionally frozen box-office attractions. We want to know what in these films he will savor as a juror, what will move him and what will turn him off. "Tender Son: A Frankenstein Project" had me until the last 30 minutes, when its exquisite shotmaking and mounting tension drive over a cliff -- or, in this case, into a snowbank. You can see the Hungarian KornÃ©l MundruczÃ³'s clever idea coming. MundruczÃ³ plays a filmmaker looking for an actor so real that he's not human. The camera would just bring his creature to life. Instead, he settles for a plain-old actor, finding one tough-looking kid especially promising. During the kid's screen test with a young woman desperate for the job, MundruczÃ³, whose character's first name becomes a nice late-action gag, gives the boy a video camera, sends the two to a private room, and forces them into a love scene that doesn't end well. The director essentially creates a monster. As it becomes clearer how the men and women relate to each other, a kind of bare-bones horror-thriller forms around the gist of Mary Shelley's novel. Much of it resists logic, and the rest flies off the rails. Although it does work as a possible insight into how certain Eastern European films are made: crudely. This movie is set mostly in a crumbling Budapest apartment building, with an atrium that comprises several floors of balconies and a roof that accommodates one magnificent snowfall. The place seems to creak and moan and cry. It's old and sad -- the most expressive character in the film. MundruczÃ³ is certainly a talent. His framing is handsome, his sense of humor bone-dry. But he has no options for where to take his adaptation and cops out. I actually prefer Sergei Loznitsa's "My Joy," which premiered two nights ago. Even though I didn't particularly care for it as a moviegoing experience, its contempt is forceful, its black-hearted humor persistent, and its self-confidence unimpeachable. Slipping out of chronology and set on the one-lane highways and in the backwood shacks of Ukraine, the film essentially devotes its running time to handing off the point of view because the previous owner has just been killed. Get attached to no one. The rampant bleakness is very Gogol, and, despite charges of incompetence at his press conference, Loznitsa knows exctly what he's doing. He had me in his grip the entire movie. I just wished to God he would let me go. I must say that "Uncle Boonmee Who Can Recall His Past Lives" is a film up Burton's alley. I mean, it's the transportingly strange new movie from Thailand's Apichatpong Weerasethakul. I think Burton would appreciate the animism and humor and randomness. It is far dreamier, not to mention better and more haunting, than anything Burton's done lately. "Uncle Boonmee" is essentially about reincarnation, which to some extent all of Apichatpong's films are about. This one is more explicit but no less direct. 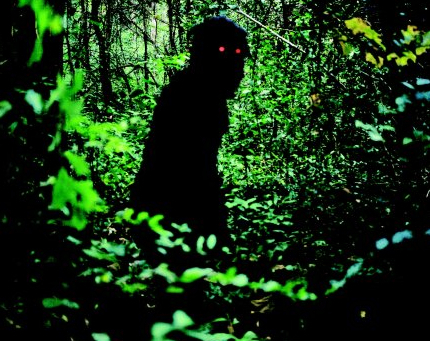 Dying of kidney failure in his jungle home, Uncle Boonmee (Thanapal Saisaymar) receives a visit from his dead wife and a big apeman, with oily black fur and red, laser eyes. He says he's Boonmee's son but you'd be forgiven for thinking it's the second or third coming of Chewbacca -- although I'm having a hard time getting the image of Apitchatpong's creature out of my head (those eyes!). The movie leaves to us to determine who is living their first life and who's living, I don't know, their sixth. But as we try to decipher this astonishingly hushed film, the heartbeat of its maker is loud and clear. Of course, it might have been too quiet for some. The film's premiere had more walkouts than any I've seen. Those people are sinners. Anyway, Apichatpong has cast actors who usually do something else for a living (Thanapat welds roofs), and he's made the film all dusk and midnight. But the radiant spirituality and oblong erotics (expect catfish sales to skyrocket) tenderizes the prevailing sense of doom. As Apichatpong erases, once again, the barriers between the celestial and terrestrial, he also does away with the cordons between movie genres -- this is scifiromancefamilyreligiousthrillercomedy. No video service has a section for that. The only suitable shelf is the one in your soul.